Well, the time has arrived. The cream of the crop in the northern hemisphere are ready to do battle once again as the 2019 Six Nations gets underway this weekend. 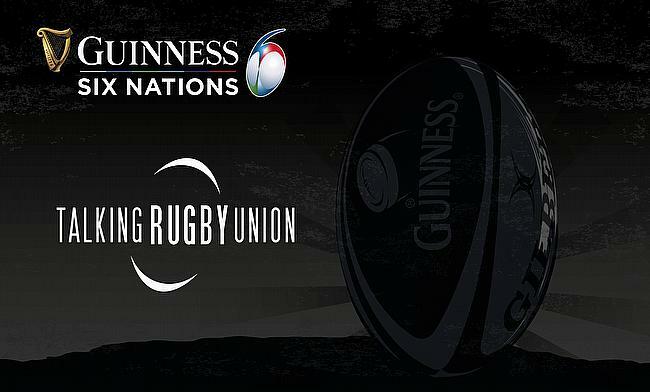 With Wales travelling to France on Friday night before mouth-watering clashes between Scotland and Italy, as well as Ireland v England, a few of TRU's contributors have predicated what might happen this year. Joe Harvey: A lot of people, rightfully, will be looking at Ireland, but personally I’m finding it difficult to look past Wales. Winning all their Autumn internationals is not an easy thing to do, so to have beaten both South Africa and Australia can only mean good things in this tournament. Also, it’s Warren Gatland’s last tournament, so the Welsh boys will be wanting to send him out on a high. Ali Stokes: It’s hard to see anything other than an Irish win this year, although the resurgent strength of the likes of England and Wales suggest a Grand Slam seems unlikely. I’d back a run of results that sees Ireland lose their first game to England, yet still lift the trophy come March. Chris Heal: I think Dublin will set the tone. If Ireland win. I can’t see past them, but if England do the business, they will be in a great position. Problem is, if Wales win in France they play Ireland and England in Cardiff so they have to be in the conversation. So, to get off the fence, I will go with Ireland! Ben Mercer: I’d like to say England, but they have the two toughest away games for them in Ireland in Dublin and Wales in Cardiff. It’s tough to look past Ireland - so much experience and cover in almost every position. Even if Johnny Sexton goes down, they’ve got Joey Carbery who’s looking better and better. I’d like to see France play with a bit more adventure and they’ve picked the backline to try it, but they probably won’t win the tournament. Frank Nickson: It’s brilliant how open the tournament is poised this year, with that in mind the Grand Slam will be even harder to achieve. I think Ireland have my vote, if they can get through the England game on top they’ll be looking at a Six Nations win in my eyes. JH: Things can’t be worse than last year, surely? A fifth-place finish was unprecedented and with the quality that England have, they shouldn’t be there again this year. That said, it already seems that the few familiar training ground injuries are flaring up again, so if Eddie Jones is left with a threadbare squad, you never know. AS: This latest edition of Eddie Jones’s England is offers a markedly different approach to the side that fell to earth with a crash last year. If luck goes their way, they have the potential to sneak into trophy-lifting position, but a second or third placed finish would be more likely as things stand. But never say never. CH: Eddie Jones says it’s his strongest squad he has been able to select so that is majorly positive. For all the negativity after the summer tour of South Africa and last year's Six Nations, England will have to be pleased with their work from the Autumn. I think their performance & the result v Ireland will give us an indication of how far they will go. GH: Much better than last year that is for sure! Eddie Jones has been taking quite a bit of criticism lately, but he is a wily old campaigner. Loving the look of the back-row for the opener with Mark Wilson and Tom Curry really coming to the part. The midfield issues still need sorting, but on their day, they know they can beat anyone in the tournament. BM: The pool England have to pick from is already better than last year with all the second rows back and Manu Tuilagi finally available. I’ll wait and see how [Henry]Slade goes, but I would liked to have seen the Ford-Farrell-Tuilagi midfield that never happened. Big tournament for Tom Curry and Billy Vunipola - they need to stay fit and available. FN: England are in a good place in terms of some injury returns with Manu and Billy back. I just think the centre partnership continues to be an area of concern in terms of how they compliment each other and work within England’s game plan. Who will be top try scorer? JH: I would have to say Jacob Stockdale. He broke records last year when he burst onto the scene and has just got better. His try against the All Blacks in the Autumn is already legendary and I expect him to add a few more come the end of the Six Nations. AS: As much as I’d love to see a rampaging campaign for Manu Tuilagi that sees him making a mockery of defences and breaking Jacob Stockdale’s seven-try record from 2018, it’s not going to happen. Smart money, for me, lies in the hands of Stockdale once again, with an outside shout for one of those peskily unpredictable French wingers. CH: I’m was going to say Jacob Stockdale for my Player of the Tournament, but I’d be an idiot to not go for him on this. Joint top-try scorer in Europe and scored in every game of the Six Nations last year. He's even made me think about putting money on Ulster's to win the Champions Cup! GH: I would love it to be one of the Scotland players – and given the expansive game they now play the likes of Stuart Hogg could well be in with a shout. However, more realistically it could be someone like Jacob Stockdale or Jack Nowell. BM: Probably Stockdale - he’s got a great record. Although Jonny May can never be counted out as he can score from anywhere. I’m surprised Virimi Vakatawa isn’t in the France squad - he’s the top try scorer in France at the moment and is on fire. FN: Would have to agree with the majoirty and go Stockdale, but Jonny May is never too far away. Who will get the wooden spoon? JH: Hate to say it, but Italy. Their performances have got so much better under Conor O’Shea and they kept it close against Scotland last year. They’ve become so much more structured in the way that they play, and I think they have one win in them this year. Against who I don’t know though. CH: Our friend at TRU, Seb Negri, may be unhappy by this, but I’d say Italy & that’s only because it is so tight between the other five nations. Look, Conor O’Shea is building something with the Azzurri which is highlighted by the progress Benetton and Zebre are making in the Pro14. They ran Scotland close in Rome last year so they will be keen for a positive start at Murrayfield this weekend, but I think they will finish bottom...unfortunately. "We have got another opportunity to right the wrongs from the last time we played them. We are not going there just to show up." GH: Italy again. Although they are clearly making improvements under Conor O’Shea and their two pro teams - Benetton and Zebre - have come on leaps and bounds, the competition is just so hot right now. BM: It’s always Italy isn’t it? Think they don’t have enough quality and it’s a shame Jake Polledri isn’t fit. You can’t help but love Sergio Parisse though and he’ll lead from the front. FN: Italy, without doubt, although their Pro14 sides are ever progressing. It won’t be enough to get them off the foot of the table. Which player should people look out for? JH: After watching him a couple of times for Toulouse in the Champions Cup, Romain Ntamack has really caught the eye. Aged just 19, the starlet has held is own on the highest European stage and in the hard-hitting Top 14. AS: He may be sidelined for the initial round of games, but England's latest wing sensation Joe Cokanasiga has the potential to revolutionise England's backline. Equal in stature to the likes of Manu Tuilagi and Ben Te'o, and in possession of the offloading and finishing skills of his Fijian heritage, 'Fiji Joe' could be a star. CH: After a recent piece I wrote, I got a tweet from Wales Online journalist Simon Thomas who highlighted Aaron Wainwright as one of the players to look out for. I have to agree. The former Cardiff Met man has performed really well for his country thus far and the stage is set for him to have a strong Six Nations. Notable mention to Tomos Williams too! BM: I think Wesley Fofana, in his last ever tournament, is the man. When fit and available he’s the best centre around in my opinion and if he’s keeping out Gael Fickou, then he must look good in training! I hope he has a great tournament. I hope that Jack Clifford gets a look in after a couple of bad years with injury - he was good for England beforehand and they need back row options. FN: Another French player is Penaud, he has a bright future as well as Ireland’s Andrew Porter and Scotland's Sam Skinner. JH: Obviously, it’s really difficult to say before the tournament has even kicked off. As someone that used to play in the pack, that’s where my eyes are drawn to. I’d love to see Alun Wyn Jones have a great tournament. The man was an absolute monster in the Autumn and I’m hoping for much of the same over the Six Nations. AS: The harshest of questions to finish. Ahead of a World Cup year, I wouldn’t be surprised to see France’s Wesley Fofana or Camille Lopez take a run at this award. However, someone like James Ryan, Bundee Aki or Finn Russell are stronger contenders. Russell, in particular, stands the chance of proving twelve months is a long time in professional sport, and his stint in the Top14 looks to have added a level of maturity to his game; although don’t discount the occasional moment of glorious madness. CH: It is bold shout, but I am hoping Manu Tuilagi stays injury free so we can see him at full pelt. I was gutted not to see him against South Africa when I went to Twickenham back in November, so it's great to see the Leicester man starting against Ireland. Ben Te'o may well be in front of him when it comes to Eddie's plans, but hopefully Tuilagi can be at his brilliant best during this Six Nations. BM: Maro Itoje looks in great form and he’s the people’s cham, but could see Tadgh Furlong or James Ryan getting it if Ireland play to their potential. Both very special. FN: If he stays fit it’s tough to rule out Billy Vunipola, and Peter O’Mahony rarely puts a foot wrong. If you are looking for a back, I’d go to Jonathan Davies.